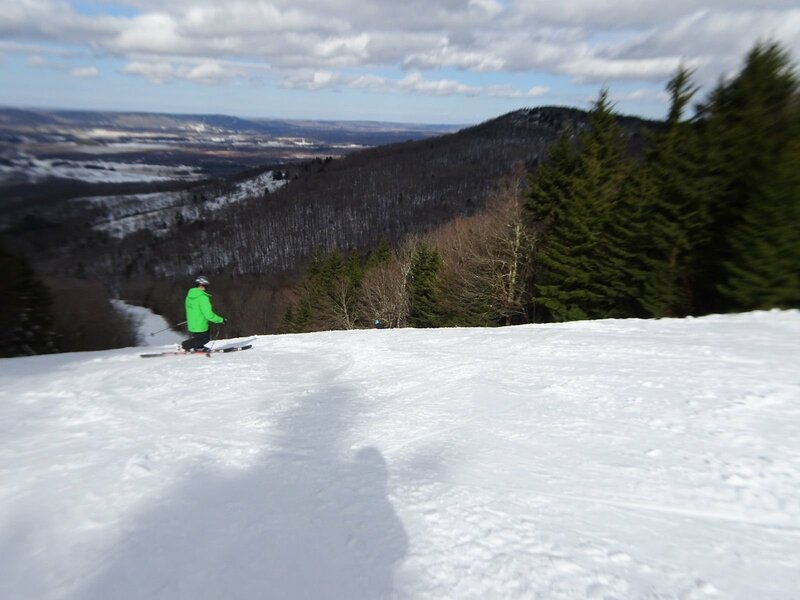 A quick word, the cover picture features Shawn Riggle, a talented proponent and teacher of the telemark turn (and a very nice guy as well) who will be joining the Canaan Valley Resort Snowsports School for the Tele Revival. 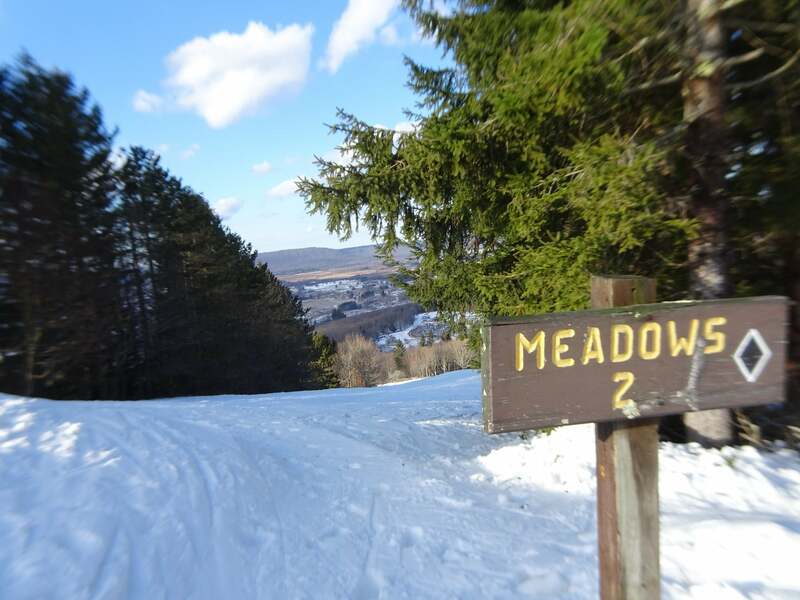 If you want to free your heels, this Saturday and Sunday at Canaan Valley Resort is a great opportunity. How to make a long story short? I suppose for a start one can break the tale into parts. This story is of a last minute road trip; actually, is there any other kind? A road trip is a spontaneous adventure; a vacation is something different, a thing that is considered and discussed in advance. Unfortunately, Ullr does no such advance planning; so, it is best to keep your grip packed and close at hand. 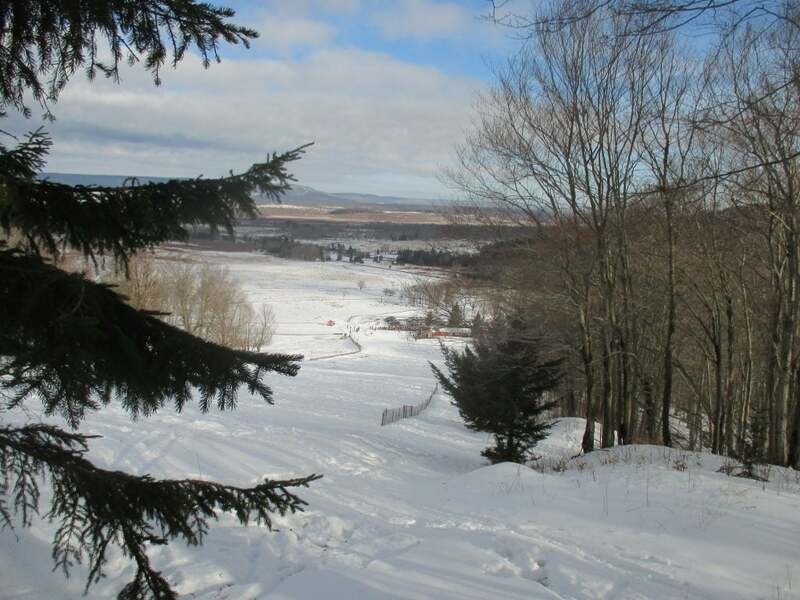 This venture took me to three places in the end; but as usual when a snowstorm is predicted, my first target was the Canaan Valley of West Virginia. 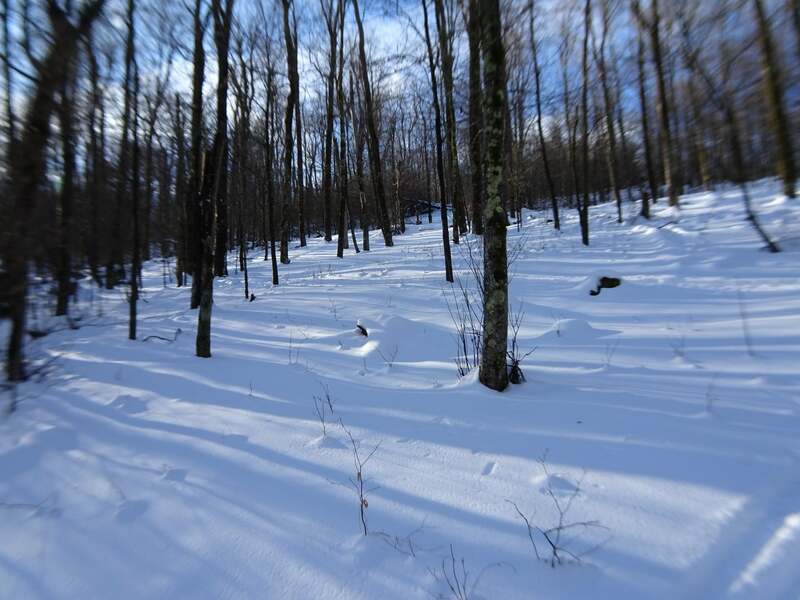 Plenty of others also have a solid base and good trail count, but NO ONE else has the valley’s network of trees; and you can’t make snow in deep trees, you have to wait for the natural goods and be ready to jump right in. I left North Carolina on my birthday, Saturday Feb.2. I happily confirmed my shadow and was on my way; at 3 o’clock in the afternoon, which left me crossing Mount Storm around 9 p.m. Have you driven over Mt Storm on a cold windy night? It is the most aptly named place I can imagine, perhaps that’s why I love it. 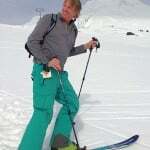 Anyway, on Sunday knowing that the day was warming, and lift served runs would still be available later; I had skins already attached to my skis to get a 7 am start for early morning turns at Whitegrass Touring Center. I ended up late, arriving at 8:30, and the place was thick with fat tire bicycles. 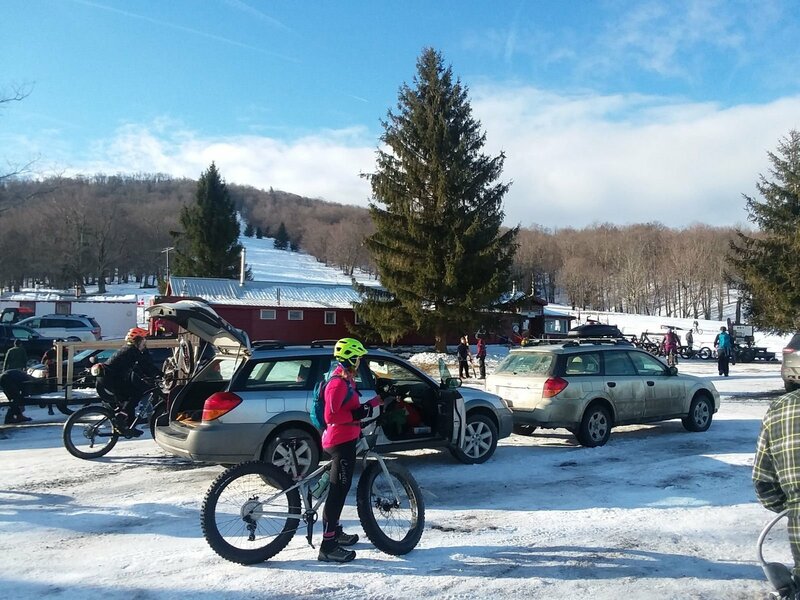 One crusty Nordic local confided that Chip Chase (Whitegrass’ Head Wood Elf) was perhaps overly tolerant, but that the bikers would thankfully be confined to only the right side of the mountain. But I didn’t mind, what an unexpected spectacle. They started the race with fanfare and cowbells I could hear as I was half way up the mountain. For me, at Whitegrass it’s all about the moments; from the rhythm of skinning up and the expectation of the run back through the trees, to the spaces in between when you pause to breath and take it all in. I don’t kayak but I imagine skimming through the trees in low coverage is similar to reading shallows in a river, it certainly feels like flowing water. 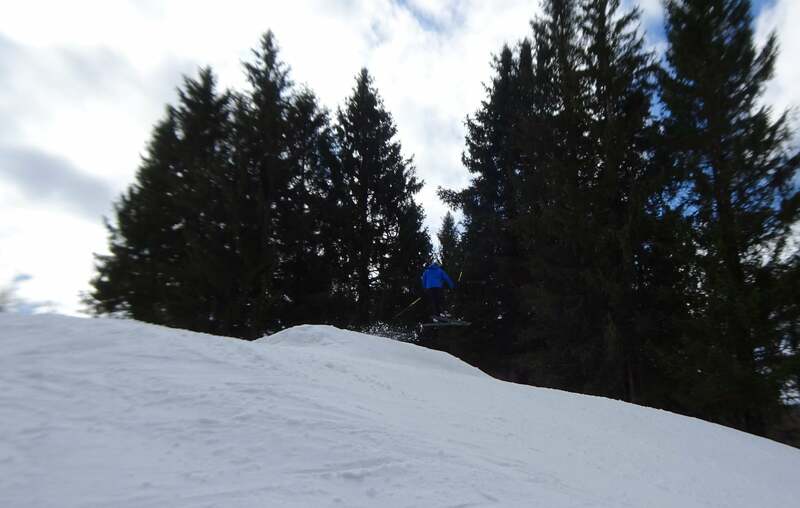 Anyway, thanks to the crew’s year round efforts, you can ski their trees for days after a storm’s moved on and the sun’s come out. 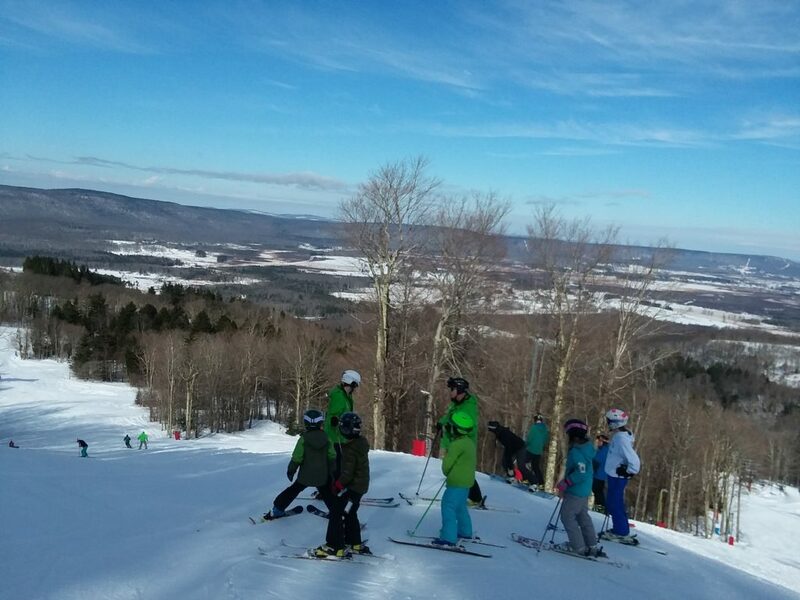 So, after that morning amid the woods, and two 450’ ascents to Round Top, I went to Canaan Valley Resort to ride lifts and enjoy their runs. There, I encountered a rare thing: a lift line. I waited a minute once for a lift, pretty grueling, but rumor had it that Saturday saw lift lines with waits of up to three, or even four minutes. That counts as a VERY busy day at Canaan. Something I’ve noticed lately though is that as long as lift lines aren’t excessive, a busier mountain is more fun to ski. The enthusiasm is infectious. If you are a good skier you can always break away, and I’ve done a lot of solitary ventures; but there is much to be said for happy crowds, as long as the lifts keep churning. Good experiences! Click to Enlarge! Snowmaker whale becomes a black diamond kid feature. Click to Enlarge! 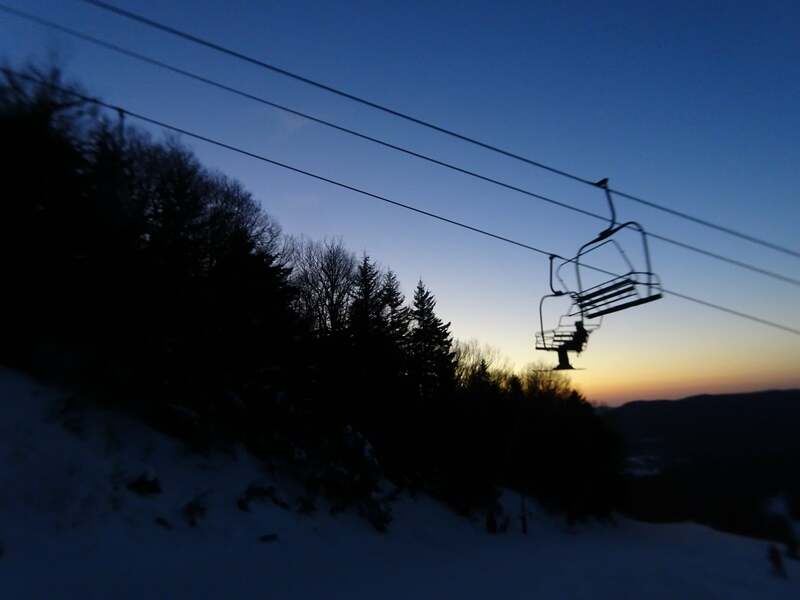 I skied with Justin Harris that afternoon, Canaan media mogul, whose current video series of all things off the beaten track in the valley is extraordinary. And no one seems to resent these “secrets” being shared. An indication of the generosity of the locals, and probably of how many more secret stashes they have. 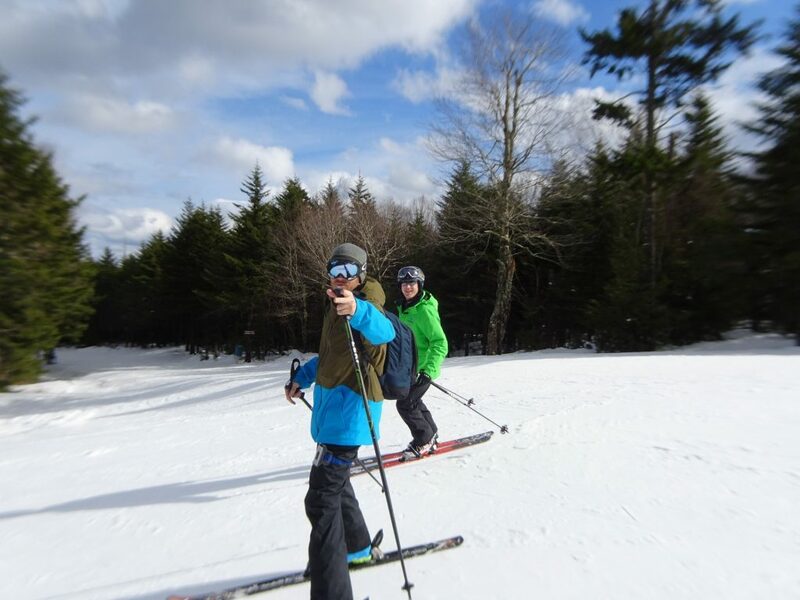 Justin, with Shawn Riggle, has something to assert; probably “C’mon Buddy, we’ve got a whole mountain to ski”. Click to Enlarge! AND in the continuing saga of “It’s a small world…” (such a diabolical musical meme for us of a certain age), I met Julie and Chris, who are fixed grip, forward facing, deep trenching, truly knuckle dragging snowboarders. Folks long familiar with the SkiSoutheast messageboard know Mellow Yellow, aka the Butcher of Beech; I had only to say his name and they remembered him from the Aspen “trenchers” convention. I bring that up because it is an example of our skiing/riding community. As you go to new places and meet new people, all over the country, you start to find whole webs of friends who are attached by this possibly crazy obsession. 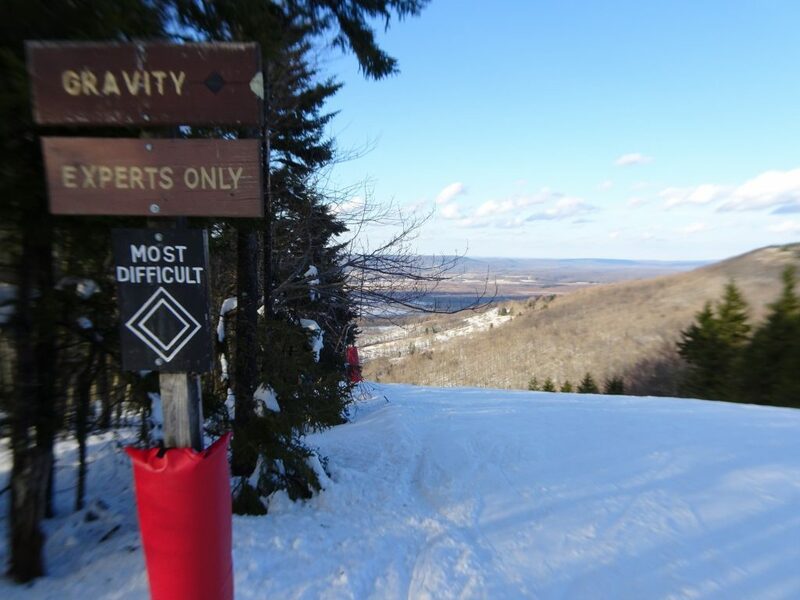 In fact, I rode the lift a day later at Wisp with two patrollers hitting slush bumps on tele gear; and asked if they knew a tele instructor at Canaan who was helping with the Tele Revival. “Shawn” they replied happily in unison, “great skier.” As I say, small world. 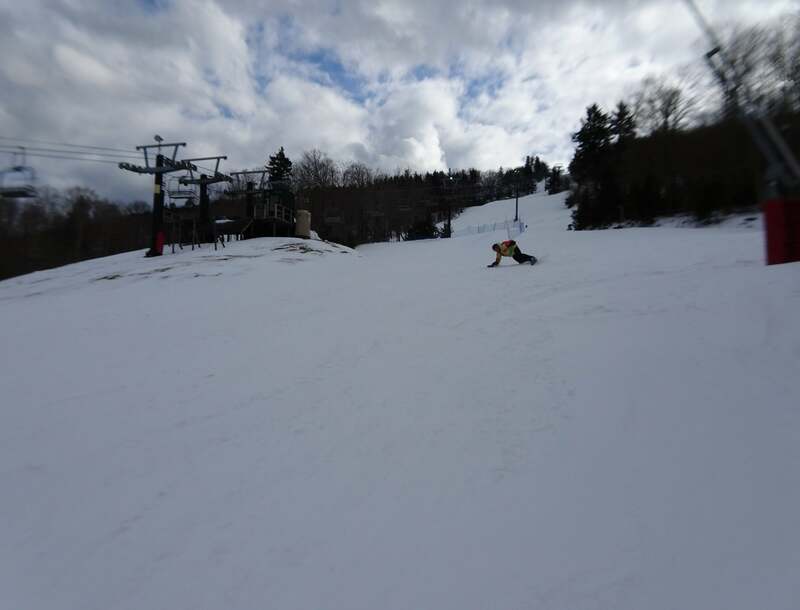 At the end of that day; I skied down the main face at Canaan, slowly. 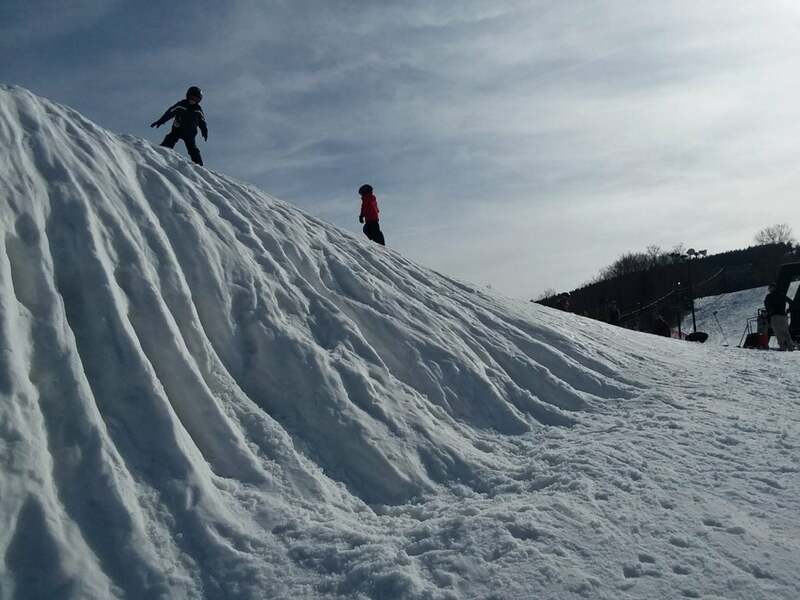 It is not a big mountain, none of ours are; but I’d skied all day and skinned up for turns at Whitegrass in the morning, met new people, got into trees even if I bumped the occasional stump, and ate some eye-opening chili at Quenchers. That was a good first day for a road trip. 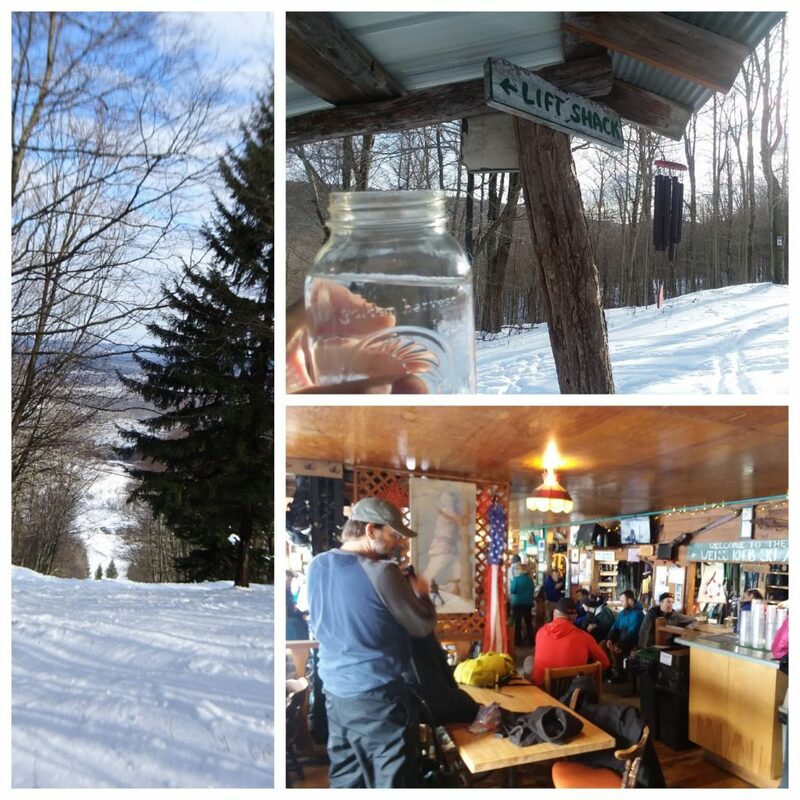 Next article12th Annual SkiSoutheast, Snowshoe Summit March 1st-3rd! Join Us!